Celebrate the notion of love with our lovely flowers and flower bouquets online. The idea of Valentine's Day for a couple in love should embark on the celebrations to relive the good old memories and look forward to bring many more wonderful moments of togetherness. 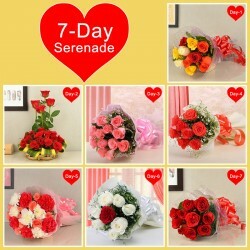 Buy our Valentine flowers online. 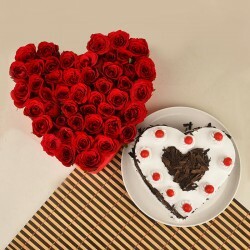 Valentine’s Day is not just a day but an entire week dedicated to lovers. Therefore, this day is celebrated like a festival of love by people all around the globe. On this day, nobody wants to lose the special opportunity to express their feelings to their special one by gifting a beautiful bunch of flowers. 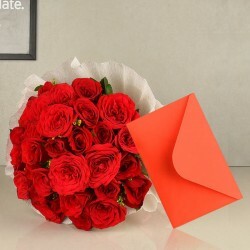 So, if you too don’t want to miss this opportunity to let your lover know how much you love her then, send Valentine flowers to Ahmedabad from MyFlowerTree. 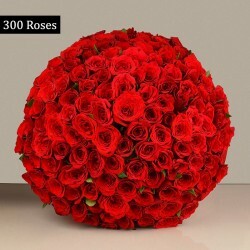 We are one of the leading online florist brands in India that offers you a wide variety of Valentine flowers online in Ahmedabad. Now, you can purchase a beautifully arranged bouquet online in Ahmedabad and have it delivered to the recipient’s doorstep without having to step out of your house. The first thing to consider before buying flowers is its quality and freshness. 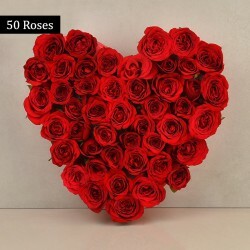 At MyFlowerTree, we provide fresh Valentine flowers in all our bouquets and arrangements that are sure to make your beloved fall in love with them at first site. We have a wide range of Valentine flowers like roses, lilies, orchids, carnations, gerbera daisies etc. All these beautiful and colorful flowers are available in heart-shaped arrangements, vase arrangements, and vase or basket arrangements as well. Along with a bouquet of Valentine flowers, you can also send a message for your Valentine with us and make her feel special. We all know that how busy our lives can be and we often get so much engrossed in our busy schedule that we tend forget some of the important dates of our lives. 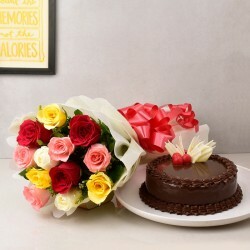 So, by chance if you ever forget to wish your girlfriend a very happy Valentine’s Day then, do not worry because now you can send flowers and Valentine cakes to Ahmedabad even at the last minute with our online flower delivery service. If your girlfriend stays in Ahmedabad and you stay somewhere else then, it might not be possible for you to visit her but, being in a long-distance relationship doesn’t mean that you cannot celebrate Valentine’s Day. You can send Valentine flowers for your beloved online and make her feel special by availing our flowers delivery to Ahmedabad on Valentine’s Day. 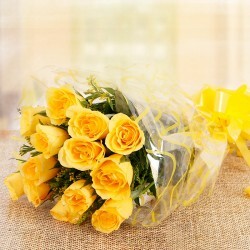 We provide same-day flower delivery in Ahmedabad and in 350+ cities of India. We cover all the major locations in Ahmedabad and also offer free shipping to our customers. 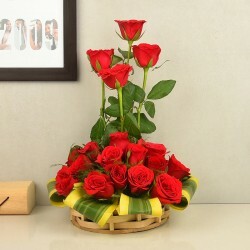 By opting our valentine flower delivery, you can now also send Valentine flowers to Surat, Delhi, Bangalore, Mumbai, Chennai, and in many other cities of India. 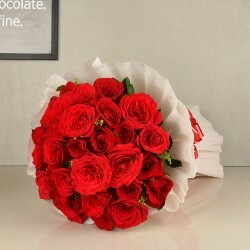 We also ensure international delivery of Valentine flowers in countries like USA, UK, UAE, Malaysia, Australia, Sweden, Canada etc are all covered by us. So, this Valentine’s Day, promise another year of endless love to your girlfriend by gifting a beautiful Valentine flower arrangement from MyFlowerTree. Products in this category have been rated 5 out of 5 based on 132 reviews.